Ingredients: A special blend of the highest quality Micellar Water and French Lavender oil in A Witch Hazel base. Press down on applicator to saturate cotton ball or pad. Gently wipe desired area. No rinsing necessary. Use daily or as often as needed. Do not apply directly into eyes. Won’t really remove stains, but keeps fresh and clean. I’m getting a Shih Tzu puppy next month, she has a black mask so it will be great for her. 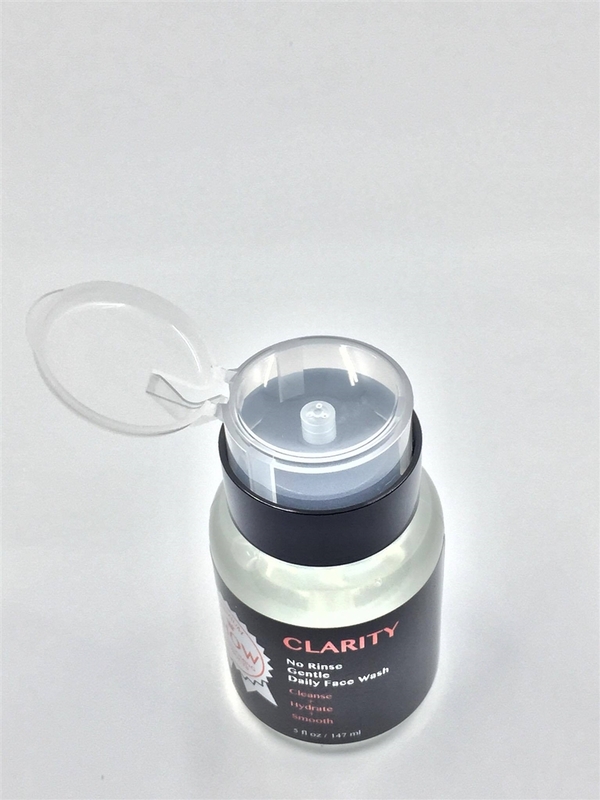 I use several of the clarity products and love them. Great for my Yorkies coat and moisturizes their skin. 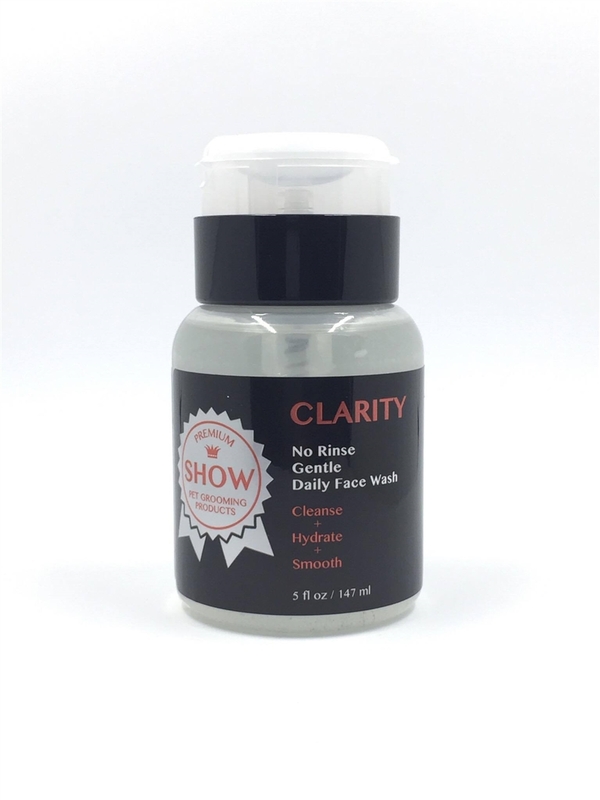 The no wash face wash is a must in our household for daily use. Love these products! My dog actually likes this and it is so easy to use. I love this product. It works great. I use it on my Havanese puppy almost every day.